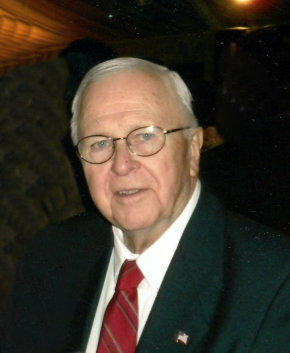 William L. Boseski, age 90, of Paramus, New Jersey, died September 12, 2018. William was born in Jersey City; lived in Ocean Grove, Tinton Falls and Silver Ridge Park section of Westerly, Berkeley in Toms River before moving in with family in Fair Lawn and his final residence at the Paramus Veterans Memorial Home. William worked for Airco / BOC & Oxford Superconducting Technology for 43 years and held various managerial positions before retiring in 1993. William was predeceased by his parents, Louis and Mary (nee Sturge) Boseski, his sister Claire McCauley and his wife of 60 years Laurette (nee Gannon) Boseski. Survived by immediate family: son Bill and wife Cathy (nee Longo) , son Robert and wife Cynthia (nee Wagner), grandchildren Cara (wife Nicole), Bill, Erica, Samantha and Megan; great-grandchildren Gianna and Jordan and sister Jean Stanaway. The family will receive friends from 3-8 pm on Sunday, September 16, 2018 at Vander Plaat-Caggiano Funeral Home, 13-31 Saddle River Road, Fair Lawn. A Mass of Christian Burial will be celebrated on Monday, September 17, 2018, 10:30 am at St. Anne Roman Catholic Church, 15-05 St. Anne Street, Fair Lawn. Private burial will be in Brigadier General William C. Doyle Veterans Memorial Cemetery in Wrightstown, NJ. I’m so sorry for your families loss. It’s never easy to lose a parent, your in my thoughts and prayers.